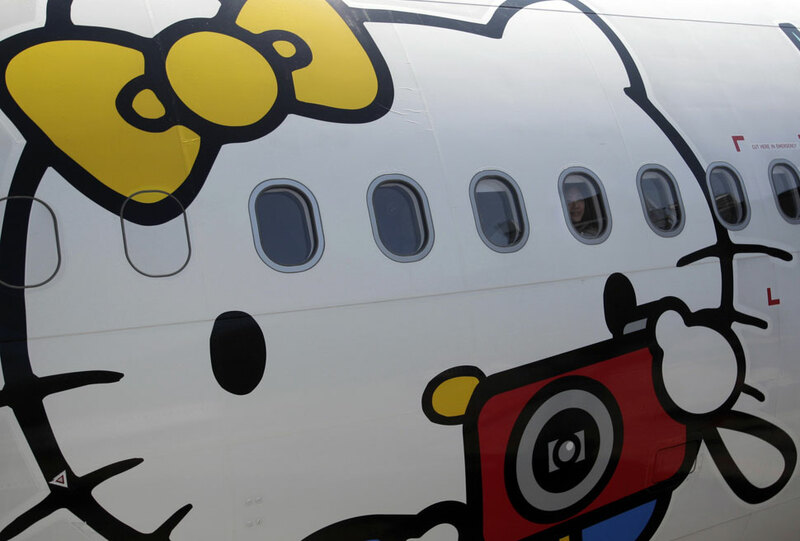 Taiwanese Eva Airlines and and Japanese comic company Sanrio collaborated to launch a Hello Kitty-themed flying experience. 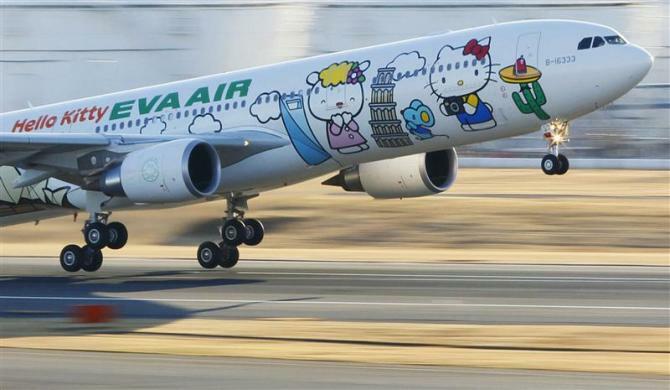 There are currently three Hello Kitty-themed Airbus A330-300 aircrafts traveling between cities in Taiwan, Japan, South Korea and Hong Kong. The the plane’s interiors feature Hello Kitty-related items as well, ranging from boarding passes, baggage tags, dining utensils, and lavatory papers to flight attendant uniforms.